Hospitalization can be traumatizing for patients. Previous research shows that one in three patients who survived an ICU stay for an acute lung injury suffer from post-traumatic stress disorder (PTSD). Disturbances in patients’ sleep, nutrition, mobility, and mood are common in medical inpatients, and these disturbances can be traumatic for patients. Traumatic hospitalization can also increase the risk of readmissions and emergency department (ED) visits. 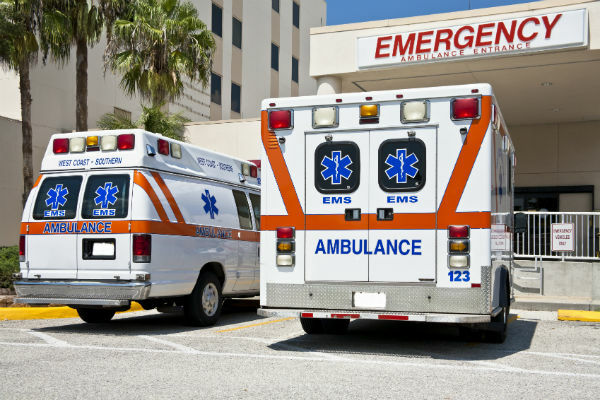 The results of a new study, published in JAMA, show that patients who experience high trauma of hospitalization may have a greater risk of an ED visit or readmission within 30 days compared with patients with low trauma exposure. Researchers enrolled 207 participants into the study. The participants were adult patients admitted to the internal medicine wards of two academic hospitals in Toronto, Canada, between Sept. 1, 2016, and Sept. 1, 2017. All participants remained in the hospital for more than 48 hours. Thirty-nine percent of the participants were female; 60.4 percent were male. Prior to discharge from the hospital, participants filled out a standardized questionnaire regarding disturbance of sleep, mobility, nutrition and mood while in the hospitalization. The scientists then categorized the responses as disturbance or no disturbance. They classified patients experiencing disturbances in zero to two domains as having low trauma of hospitalization, and those with disturbances in three or four domains as having high trauma of hospitalization. Nearly all the participants — 92.8 percent — reported disturbances in at least one domain. Sixty-one of the participants, 29.5 percent, had high trauma of hospitalization. Mobility disturbance and nutrition disturbance were the most common. Among the 207 participants, 78.3 percent reported mobility disturbance, 55.1 percent said they experienced nutrition disturbance, 36.2 percent reported sleep disturbance, and 23.2 percent reported mood disturbance. There was a dose-response relationship between the patients’ length of stay and high trauma. Within 30 days of discharge from the hospital, 30 of the 2017 participants were readmitted and another 25 visited the emergency department but were not admitted. Compared with their low-trauma counterparts, the high-trauma patients had a 15.8 percent higher risk of readmission or ED visit within 30 days, at 21.9 percent versus 37.7 percent. Even after adjustment for baseline characteristics and propensity score matching, the differences between the high-trauma and low-trauma patients remained significant. The study was limited in that it included only those patients discharged to home, who were younger and who had fewer co-morbidities, shorter lengths of stay and less severe illness than did the broader population of the internal medicine population. Furthermore, the trauma survey has not been validated, the researchers had not included ED visits and readmissions to other hospitals. Lastly, the study included a small sample size. "Changing the culture of the hospital will require support from all stakeholders, formation of a shared vision, and removal of organizational barriers. This culture change is key to developing hospitals into places to heal, not to get worse," the editorialist wrote in an accompanying commentary. Despite successful interventions, such as Hospital at Home and Acute Care for Elders, current hospital care models appear to be detrimental to patients. The researchers published their results on Dec. 3, 2018.